Salons can reduce waste by purchasing products that use recyclable materials like amber glass and aluminum. Unlike plastic, the glass and aluminum can be recycled over and over without losing strength, durability and purity, product maker Simply Organic reports. Salons also can look for partners to help recycle hair clippings, aluminum foils and color tubes. Other recycling businesses can help companies recycle aerosols, consumer chemical products and hazardous waste. Simply Organic also recommends upcycling. Those amber glass jars, for example, can be used as plant holders or shelf décor. But think twice before reusing containers that contained potentially dangerous chemicals—they should not be refilled with any product intended for hair or skin. Salons are energy-intensive businesses and there’s no way to eliminate their consumption, according to Eco Hair and Beauty. 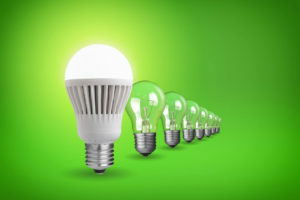 However, there are ways to reduce energy use such as upgrading your lighting with eco-friendly LEDs, turning that flat iron off when it’s not being used and opening windows instead of using the air conditioning. Investing in solar panels is another option to help power a salon and reduce the carbon footprint. Plus, if you’re designing a salon from scratch, incorporate as much natural lighting into the design as possible. You can also designate an “energy champion” to monitor efficiency targets and promote energy reduction strategies. Simple steps, like being more judicious with water and energy consumption, can instantly transform your salon into a greener business than it was the day before. Going the extra mile by swapping out lighting, sourcing organic products, finding a partner for a recycling program and investing in more energy efficient equipment will make your salon an environmental champion and help it stand out in a world that’s becoming increasingly green. Has your salon adopted sustainable business practices? If not, there is no better time to start than now. Small changes, like switching to cold-water washing, can build to bigger ones, like switching to energy-efficient equipment. If you have any questions about how adopting new business practices may affect your insurance coverage, please give me a call at 888-823-9380.